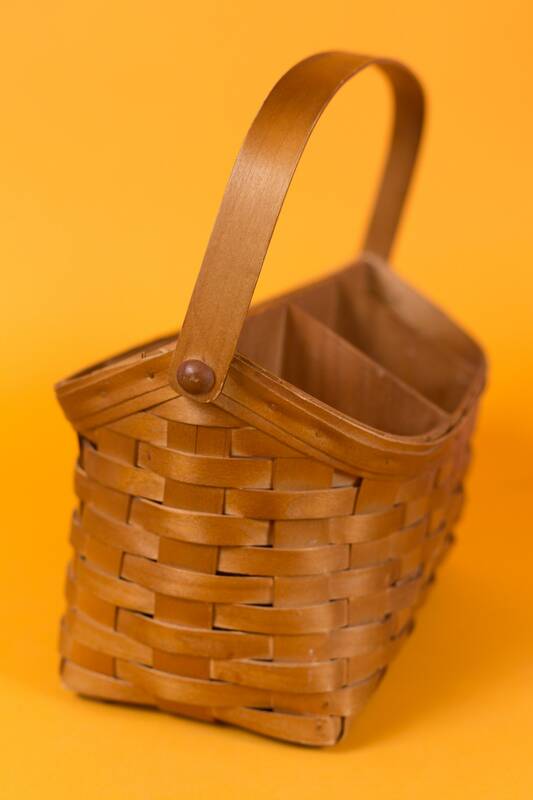 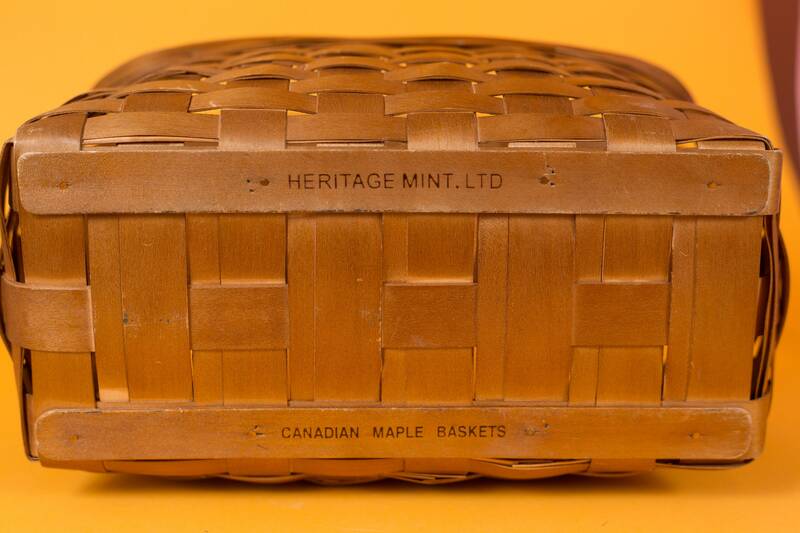 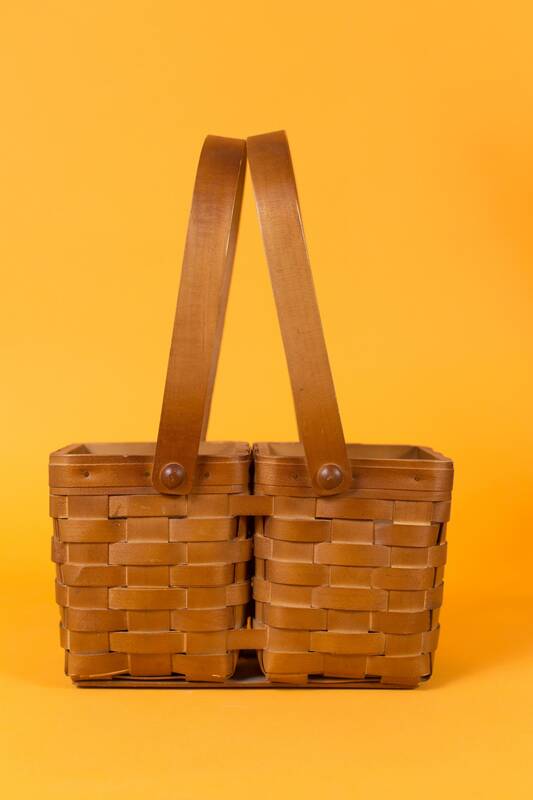 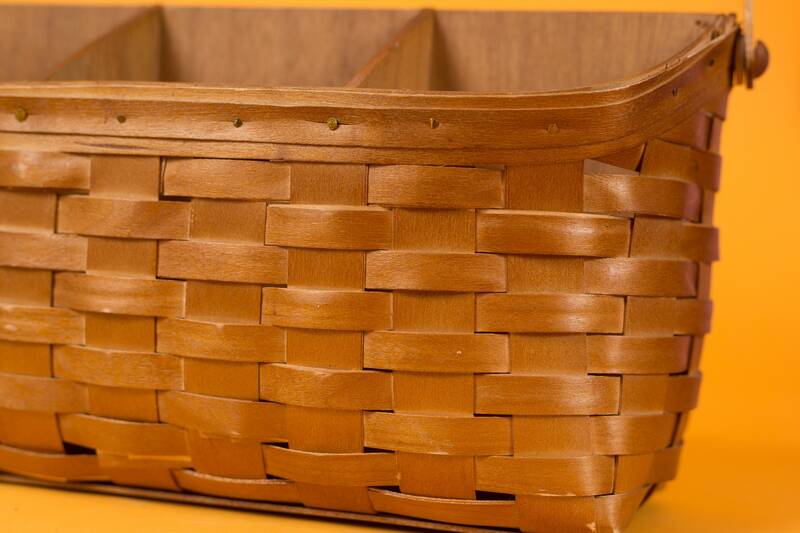 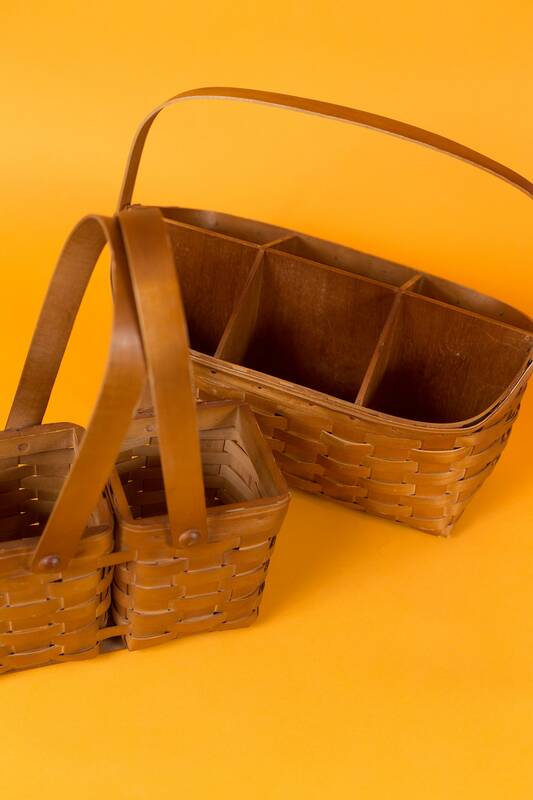 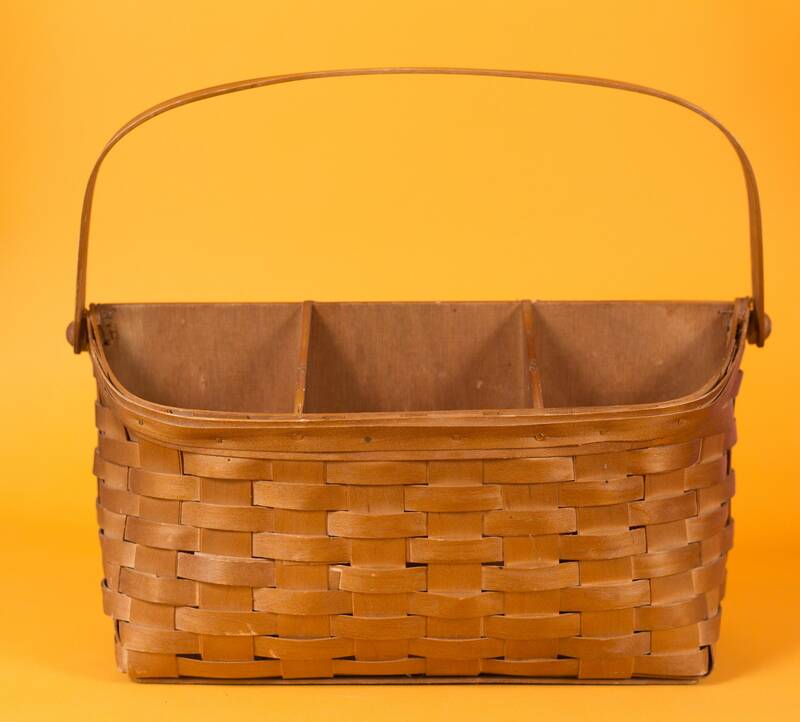 This is a beautiful pair of vintage woven wood Canadian maple baskets made by Heritage Mint LTD. 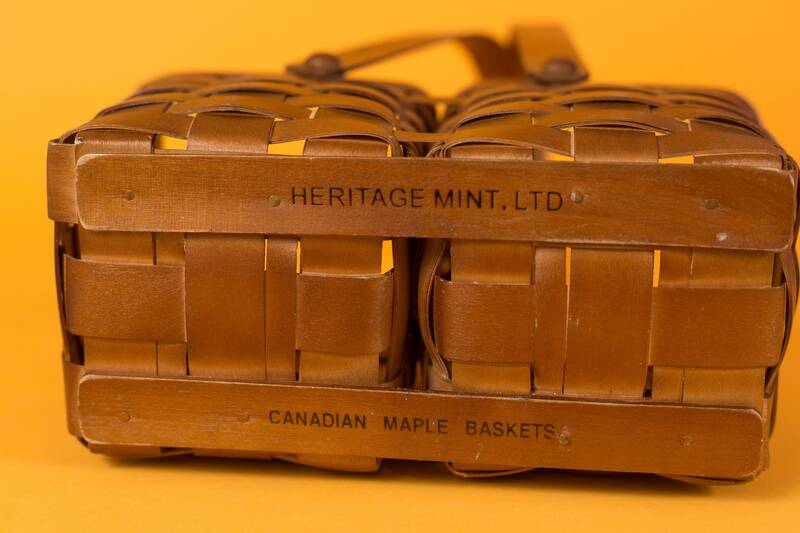 They are beautiful in colour and structurally sound. 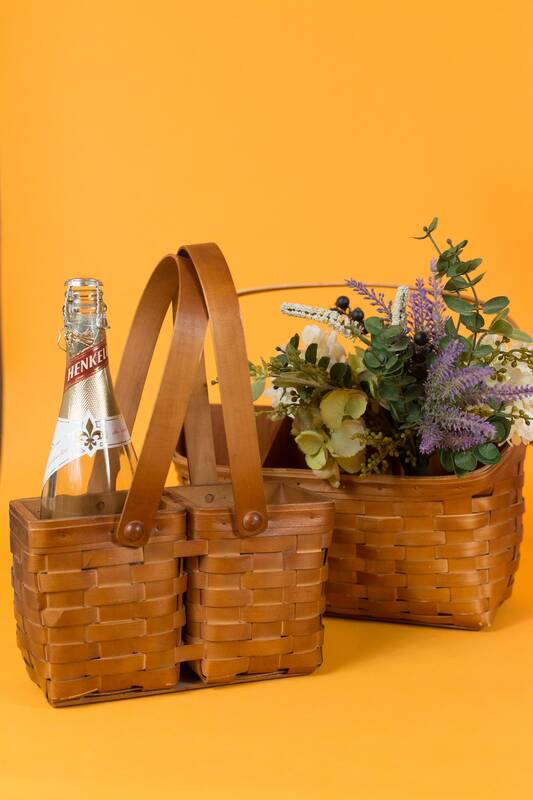 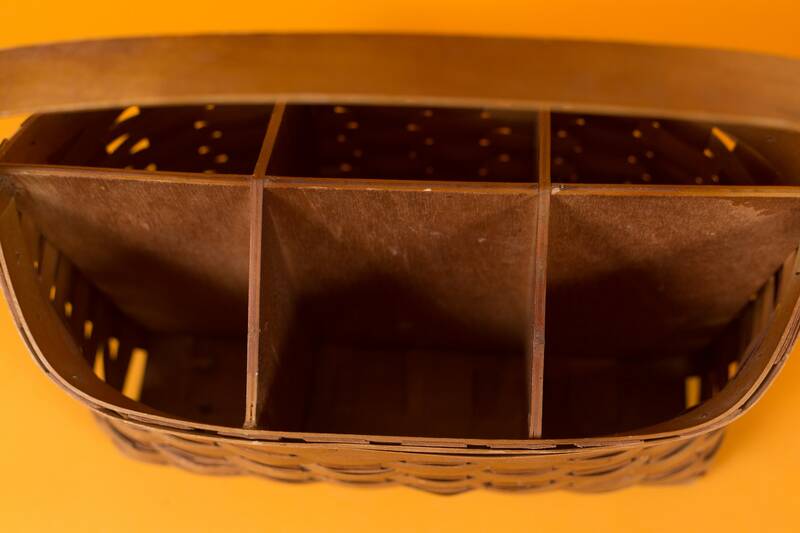 The small basket hold 2 wine bottles and the large basket has 6 slots for beverages (the slots are too small for wine bottles). 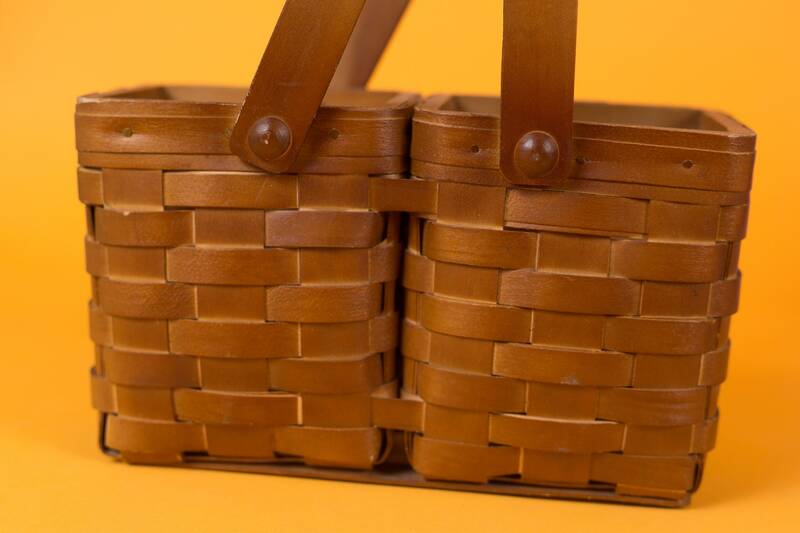 They make great decorative pieces!